Feeding requirements for your SMALL PET BIRDS is very easy to sustain. Proprietary bird seed mix is reasonably priced and contains a suitable mixture of varying seeds to help give your bird the right nutritional balance. There are loads of different choices however and you could easily become overwhelmed by the choice available, try not to go for the least expensive as it rarely meets the right balance, but also don't go for the most expensive as the excessive price is rarely justified to meet your small pet birds requirements. Somewhere in the middle is best. Make your choice and then stick to it and buy the same mix of the same brand every time, a sudden change in the staple diet of your pet bird will likely cause digestive and health difficulties, if you must use a different mix then it is imperative that you introduce it gradually - half old half new to start and then gradually decrease the amount of the old brand and replace with the new; so don't allow your previous mix to run out before purchasing the new type. If you keep a number of small pet birds in a mixed flight or aviary then you might think that you need to purchase different types of seed mix for your different birds. Wrong! This will prove rather expensive and very unjustified. The chances are your pet birds will try and eat whatever you give them. Look at the content and product information on the seed packaging, it should tell you exactly what's in there. For example; budgie mix contains mainly white millet and canary seed, - canary mix contains mainly canary seed, rapeseed, hemp seed and niger seed, - foreign finch mix contains canary seed, Australian panicum and white millet, - parakeet mix contains white millet, sunflower seed, canary seed, red millet, buckwheat, safflower seed and oats, - cockatiel mix contains canary seed, red millet, safflower seed, sunflower seed, hemp seed, white millet, oats, and paddy rice - so looking at the above then a proprietary cockatiel mix will suit all. Notice how canary seed is used in all and millet in all but one, these are staple foods for your bird. However finches and budgies tend often not to bother with sunflower seed but your other parakeets and cockatiels will eat it. So why go to the expense of different seed mixes when one will do? If you have lots of birds it's also better value to buy in bulk, you can save a fortune this way rather than buying small amounts at a time. Contact your local pet or animal feeds supplier, and purchase your bird seed mix by the sack load, and if you can't or don't want to fetch it most will deliver it for you. I have been feeding my birds this way for years and never had any problems, even when breeding. Feeding pet birds requires you to give an assortment of alternative foods, such as fresh fruit and vegetables, to add variety to your small pet birds diet and help with their health (this is covered in more detail in a separate article). Green vegetables and fresh tree fruit (avoid the pips or seeds) are good for your pet birds and easily obtained. Most vine fruits are also OK, plus melon, tomato, bread, unsweetened biscuits. Your birds will also love chickweed, dandelion leaves, and carrots. 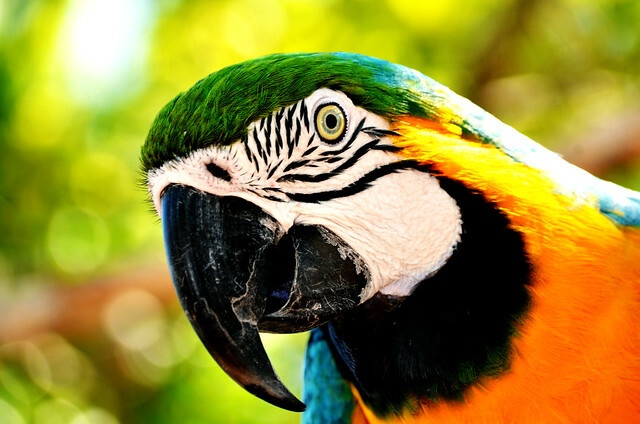 But see my other article 'Feeding pet birds - A brief outline of alternative foods to give to your small pet birds' for more information. For more detailed information about bird keeping or to get your copy of my new ebook then please email me and be sure to read my other articles. For more bird keeping related issues please email me with your questions. Keeper and breeder of small pet birds for 10 years. Offering information and advice on all aspects of bird keeping.